. Atmospheric Chemistry and Physics ....Stohl and co-authors estimates about 36,000 terabecquerels through April 20. That's about 42 per cent of the estimated release from Chernobyl,..
1.7E19 Bq of xenon-133, greater than the estimated total radioactive release of 1.4E19 from Chernobyl. 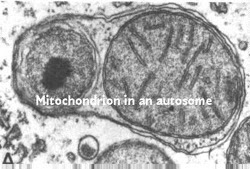 sperm mitochondion being lysed in ovum how is it tagged? Energy (EeV): the energy of the cosmic ray is measured in EeV, Exa electron volts. 1 EeV is about 0.16 Joules. the LHC = 14 TeV ... cosmic ray collisions have been measured with energies of 10E20 eV (E8TeV). Martin Doyle "Occupy our Street"
So this is for what they have been saving the weedy plot wheron my school st until 1979?